Transcendence, Inc. is a company built on integrity, experience, vision and dedication. Discover the Transcendence difference. Transcendence is a company that knows it is only as successful as the professionals who work for it. Fostering an environment of exponential growth in technological proficiency, Transcendence attracts employees who are ascending to the top of their chosen field and desire to expand their own capabilities. You deserve to work for a company that believes in its employees. With consultants across the globe, mobility and advancement are possible at most employment levels. 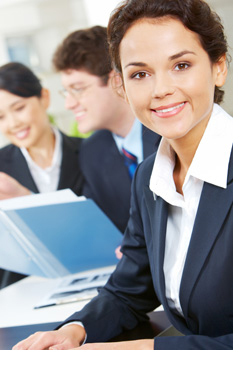 Transcendence offers a comprehensive and highly competitive benefits package. The U.S. Department of Commerce and Minority Business Development Agency awarded Transcendence the Minority Technology Firm of the Year 2008. Our clients choose Transcendence because we are committed to the mission and knowledgeable of of the latest trends and standards in information technology and telecommunications solutions. We are effective and efficient in solving business problems with IT solutions, and we are responsive to our client’s needs. Is the Transcendence environment right for you? Find out for yourself; call 866.382.3344.